Kiepertøya is a small island in southern Hinlopen Strait. 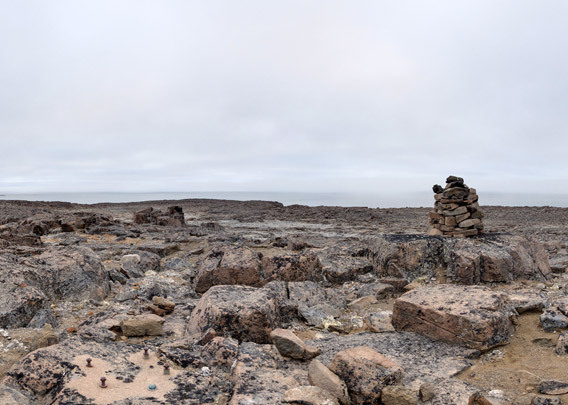 It is made up of three peninsulas, which are connected by low-lying land bridges; in some places, the shores on both sides are no more than 100 m away from each other or even less! Geologically, Kiepertøya consists of dolerite, a magmatic kind of rock that resembles basalt. Weathering is attacking dolerite only slowly and the result are coarse blocks. 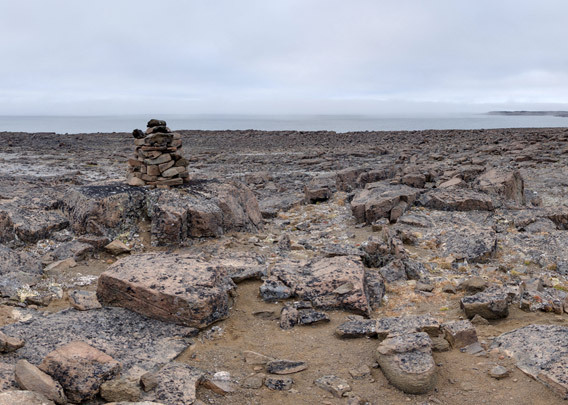 As a consequence, the island is very rocky and walking is not exactly easy. All three of the above-mentioned peninsulas have low-lying rocky hills, the greatest heights not exceeding 34 metres. Locally, ther are small, steep rock cliffs. 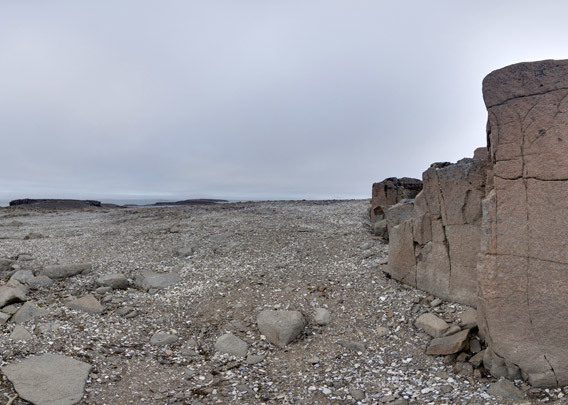 Altogether, Kiepertøya makes a very barren, desolate impression. A sad bit of history adds to the gloomy atmosphere. 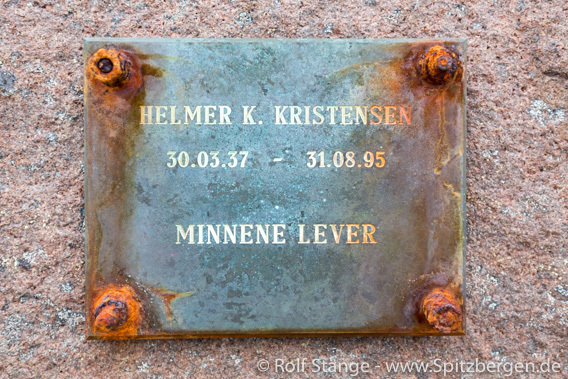 It was on 31 August 1995 that the seaman Helmer Kristensen was killed on Kiepertøya by a polar bear. Kristensen was one of several crew members of a small, ice-strengthened expedition ship carrying passengers who went ashore for a little walk. The group was attacked by a very aggressive polar bear. The only weapon the group had was a little pistol, far from strong enough to stop a furious animal of that size even though several bullets hit the bear’s head. Kristensen was killed and another mean injured. The polar bear was later shot by the Sysselmannen (police). A group of tourists from the same ship was also ashore on Kiepertøya at the same time. The guides of the tourist group were, in contrast to the crew, adequately armed.